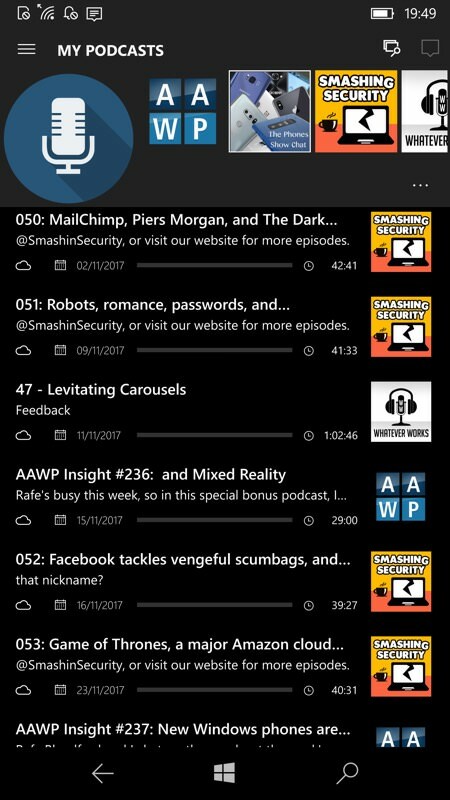 Late last year, I reviewed the remake of OneCast, now called MyPodcasts - very pretty, very slick and also a full UWP app for all Windows 10 form factors. And, in the spirit of keeping you informed, and with the rightly high popularity of podcatchers, here's news of a big new couple of updates and what's in them. 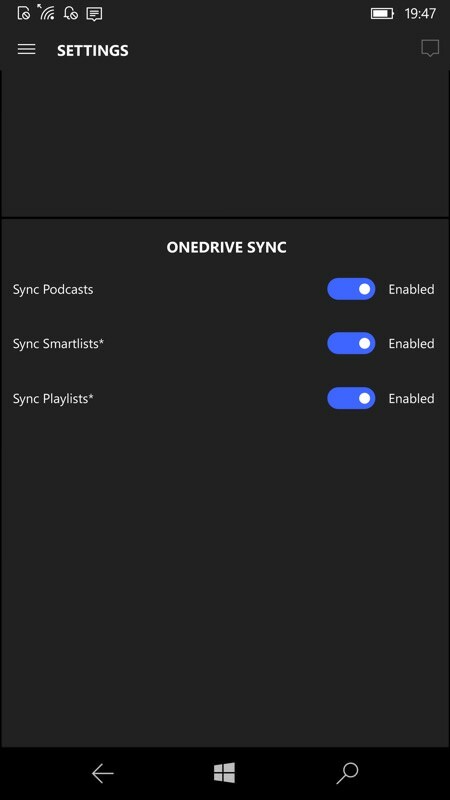 A typical Smartlist, and (right) part of the Settings pane, with slightly crazy white/black space above and below each cluster of settings - but still, here are the new Sync toggles for OneDrive. You can grab MyPodcasts UWP here in the Store. It's a very valid alternative to Podcast Lounge, Grover Pro, and other UWP stars. Have you tried it?